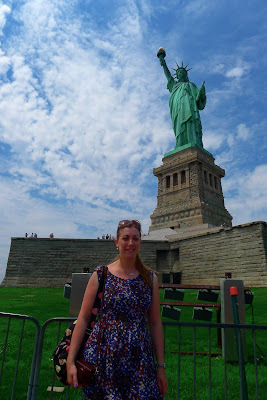 What better way to begin the posts about my American adventure than with the Statue of Liberty? Symbol of all things American, she stands there day after day holding up that beacon, having witnessed the entry of hundreds of thousands (millions?) of people arriving in a land of promise and prosperity. 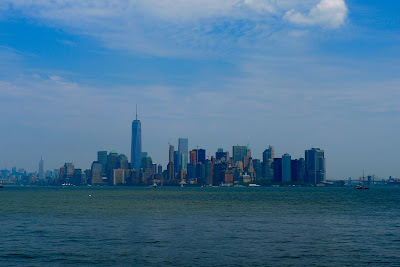 On the day I visited, the weather was boiling, the boat packed, water calm and sky blue. I had bought a ticket for both Liberty and Ellis Island and I was actually more interested in spending time inside the Ellis Island Museum. I didn't bother with the free audio tour of the statue, and only spent enough time on the island to take a few photos, gaze over the sea back at Manhattan and make a quick loop around. 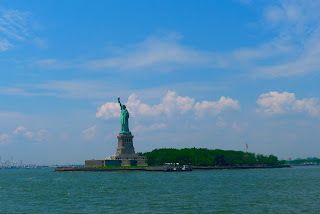 Then I was back into the big queue to the boat over to Ellis Island. 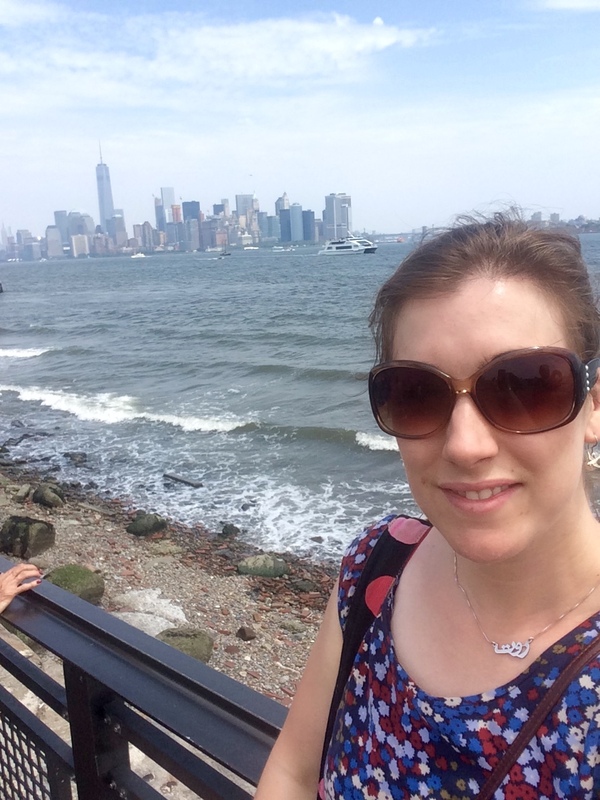 This was easily one of my most enjoyable days in New York. 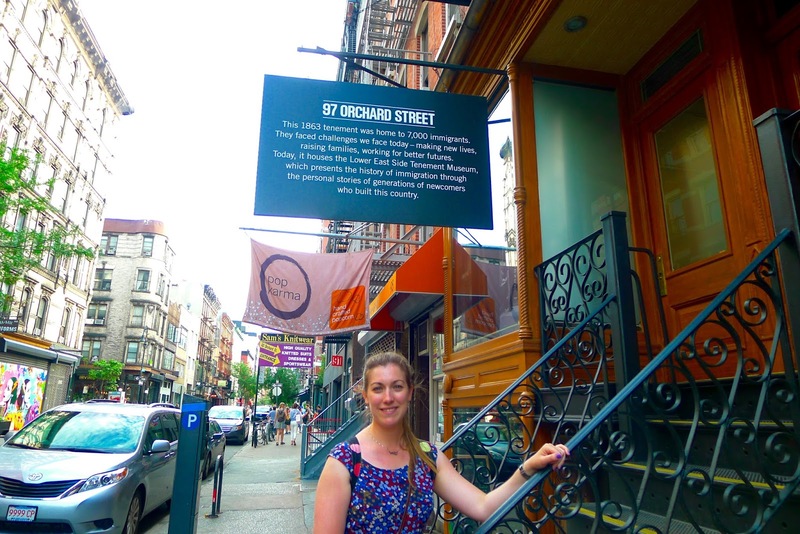 The museum was fascinating, I could have spent longer than the 2 hours I did there, only I was meeting Samantha in the late afternoon for a tour in the Tenement Museum. 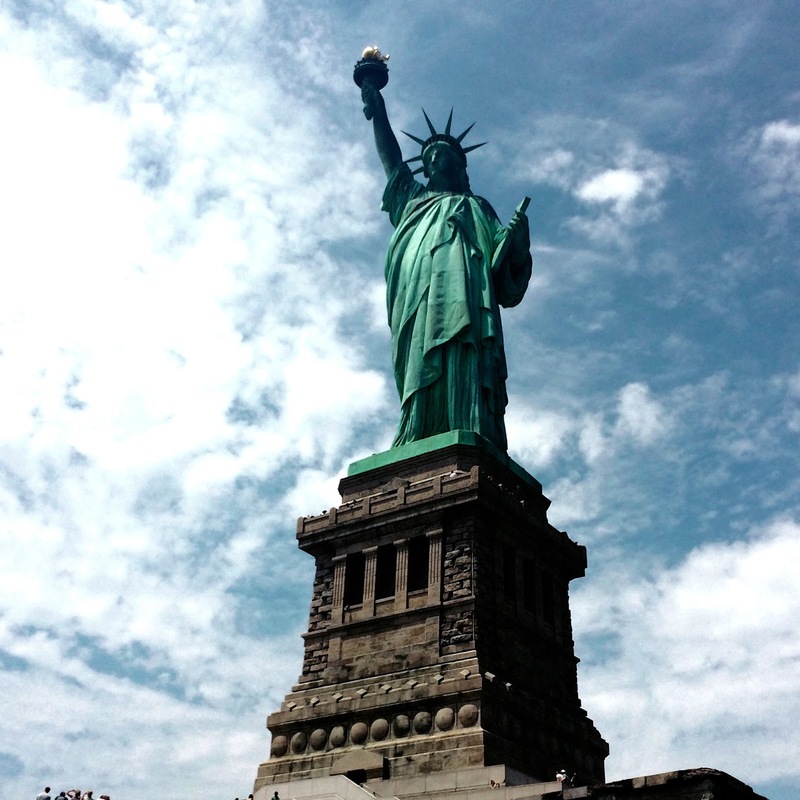 Ellis Island was filled with stories of family, bravery and hope. 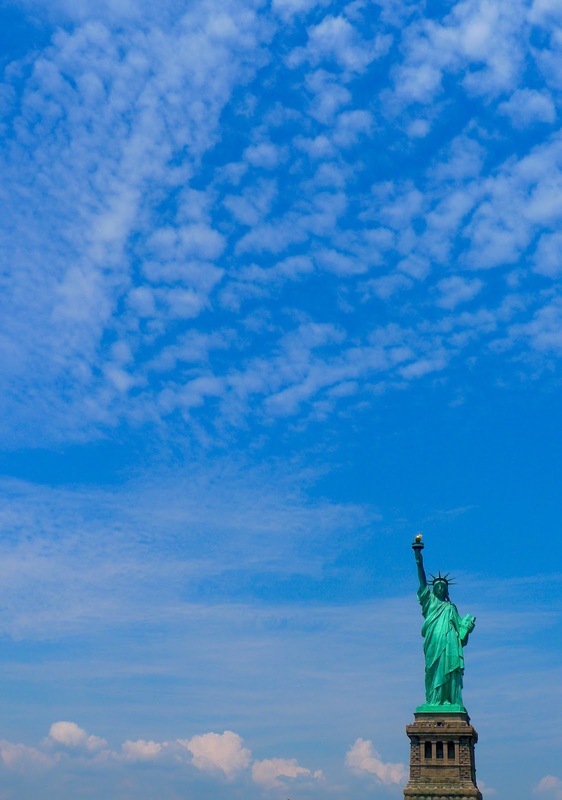 Although I have lived abroad, I always knew I could (and probably would) go home one day, but those European (and later Asian) immigrants left everything they knew, everyone they knew, to start a completely new life. With no real guarantee that things would work out, surviving mostly due to hard work and determination. I have so much respect for all of those brave people. Immigration is an extremely hot topic at home right now, and our government's constant attempts to stop people entering the country directly affects my job. So to say I am quite invested in it is fair to say. The UK has a long history of immigration, those coming from our former colonies and weaving a rich multicultural tapestry, particularly in London, of which I am immensely proud. But the UK never experienced that which America did. 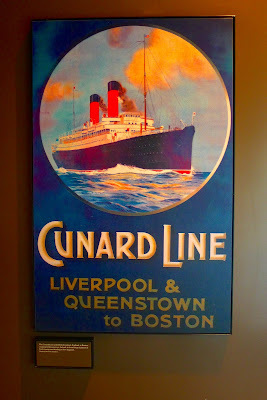 The peak immigration years saw Europeans pouring into the country to start their new lives, encouraged by the ocean liners, who, I was interested to find out, made most of their money from the poor passengers in steerage class. First class passengers demanded too much for the liners to make a profit off of their tickets, but steerage expected nothing and were given the bare minimum. They were the life blood of the companies. 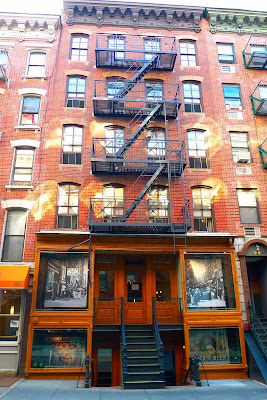 Back in Manhattan in the late afternoon, we were booked onto a tour of the tenement museum. Another fascinating place, that is a fantastic museum to visit. I will definitely be going back there on another trip! The museum is housed in an old tenement block that was never upgraded by the landlord when the city authorities were making the city more fire-proof. It lay dormant and blocked up for years, until it was discovered by the tenement museum founders. A doorway into the past, and a real life example of what most of the city's buildings used to look like. 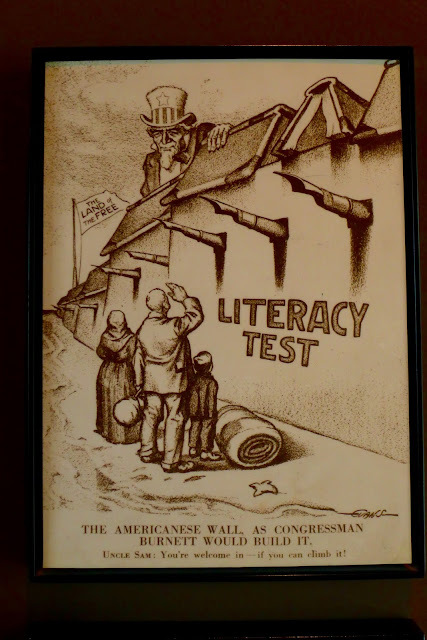 After meticulous research they have uncovered the stories from immigrant families who inhabited the house over the years. Samantha and I heard the story of an Irish immigrant family, who were living in a German neighbourhood (Kleine Deutschland) we heard about their struggles and family life, the poverty they experienced and the prejudice and distain held towards the Irish - 'No Irish need apply' was one of the signature songs of the time. 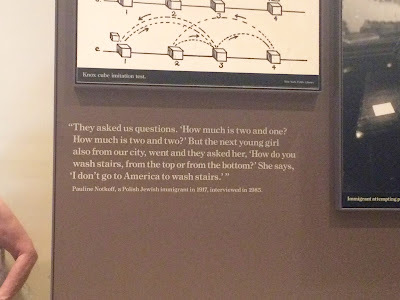 Truly captivating and thought-provoking I cannot recommend both the Ellis Island and Tenement museums highly enough. "They asked us the questions, 'How much is two and one? How much is two and two?' But the next young girl also from our city, went and they asked her 'How do you wash stairs, from the top or from the bottom?' 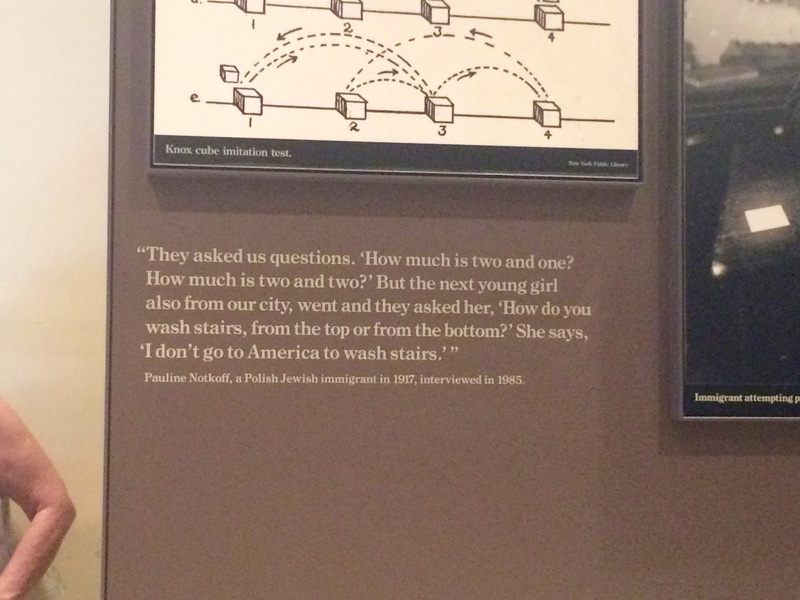 She says, 'I don't go to America to wash stairs'"
This was my favourite quote of all the immigrants anecdotes in the museum! Good on you, Polish immigrant, not accepting the lowly expectations of the authorities! 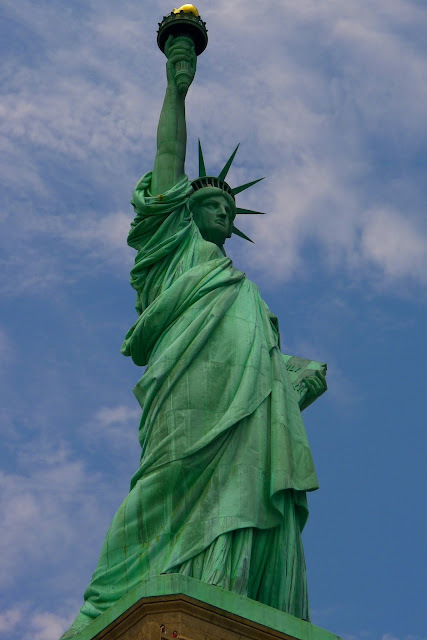 One thing I thought as the boat circled around the statue and came into dock, as the loud speaker gave us some general facts about the statue, was how this was originally copper; time and weather turning the shiny bronze to green. I think the weathering does nothing to diminish its effect, but for a second I wished I could go back in time, perhaps be on one of the first boats to arrive there, cheering along with my fellow passengers as the statue came into sight. 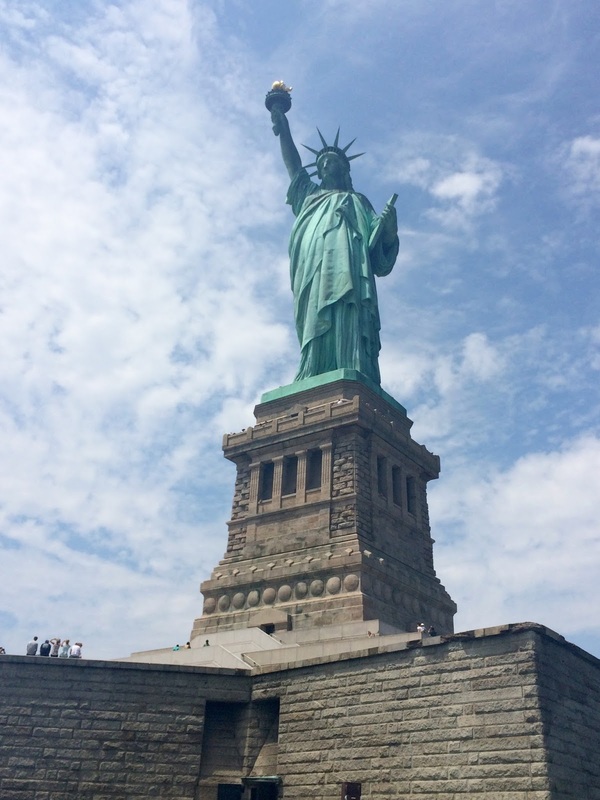 Finally reaching our destination, and to look up, and marvel at the shiny, copper lady. Then all at once, I was back in 2015, jostling along with the Chinese tourists attempting to cut their mobile phones out of my picture and tutting as they stood on the seats the loud speaker had just asked us not to put our feet on.